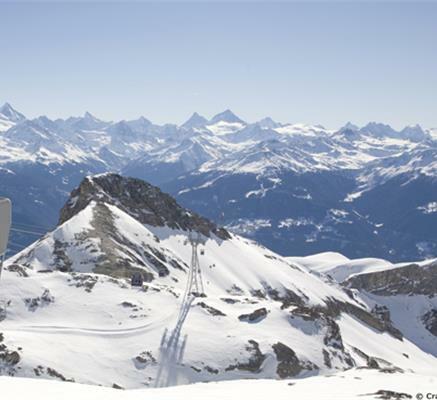 Sunny skiing amid beautiful Alpine scenery: at its best, Crans is fantastic. 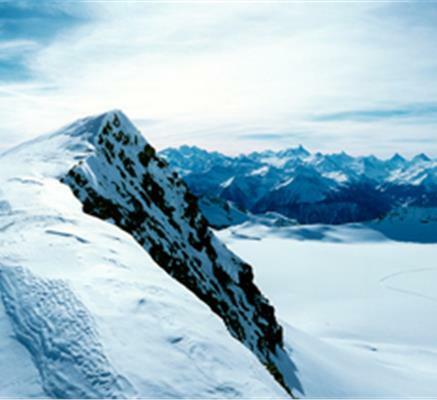 The runs are mainly Ski Easy slopes meant for intermediates, and there are two dozen mountain restaurants, most in sunny positions – and you’re in ski heaven. 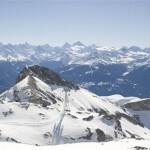 It is a large ski area with a single resort hub. You can head off in many directions, with skiing even up on the Plaine Morte glacier. And the 11km run all the way down to Les Barzettes is very scenic. There are downsides, of course. The resort itself is huge; the twin towns of Crans and Montana straggle together along a busy main road, and the architecture is functional rather than chocolate box pretty. The skiing, too, for all its plus points, can be a little one-dimensional. The wide, light red slopes are fun, and they are long, but you do cry out for a change at some stage. The Piste Nationale downhill is one option, and there is a lot of off-piste, although the resort’s sunny disposition can make the snow heavy. For low intermediates Crans Montana is the spot, with three beginner areas including one that rolls across the golf course. Experts unfortunately will have to search out the few steep runs, although there is some decent off-piste. 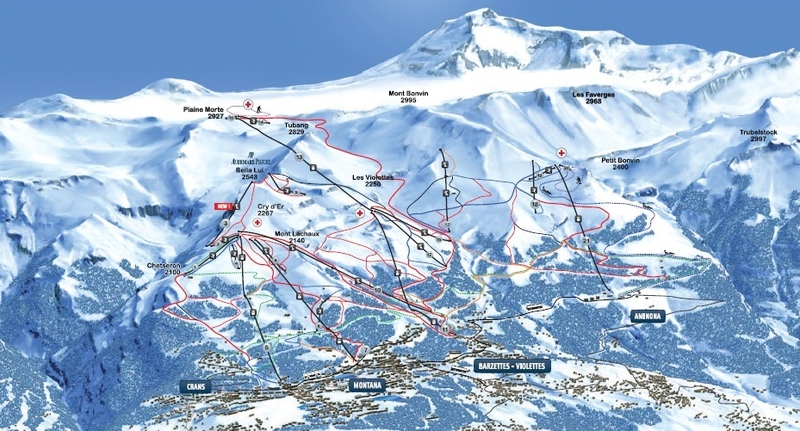 Good for boarders as well, with decently-pitched terrain and mostly gondolas and chairs. To stay, there are lots of hotels, from the chic to the cheerful, along with plenty of apartments – although a fair few are a bus ride from the lifts. Decent restaurants – we’re told that the Pas de l’Ours hotel’s Bistro is one of the best although there are plenty more. Not a place for wild après-ski, as Crans doesn’t do that. It really gets a wealthy clientele, and in the mid-mountain restaurant above Montana you might see retired 007 Roger Moore, who dines there on sunny days as he has hung up his ski boots as well as his Beretta, and now lives in Aminona on the far side of the mountain.